In the current climate of heightened security, they are particularly interested in protecting children from radicalisation. They do this by policing the websites that pupils visit. The Counter Terrorism and Security Act led to the development of a specific list of radicalisation sites. Sonicwall apply that list to their content filtering products. They also comply with the Internet Watch Foundation and use their lists in the same way. If a pupil visits a website that staff should be concerned about, an automated alert is triggered and a report created. During an OFSTED inspection this report can be shown to demonstrate what measures are in place and what activities have been undertaken in response to any alerts. It should be noted that Sonicwall would not allow a pupil to open a suspect website, and any search would never be allowed to finish. As well as radicalisation, the product is also helpful with regard to GDPR and data protection. Teachers have an ‘unlock’ key so that they can access particular websites for the duration of a class. Websites can be unlocked within a minute. This is auditable, so it is reported and there will be a record of it. 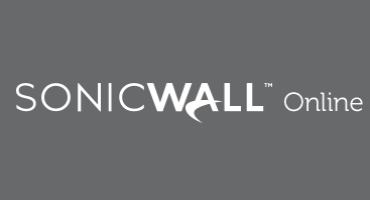 Sonicwall’s internet security products have a deservedly impressive reputation, and those products are subject to constant development in order to interact successfully with an ever changing digital world.